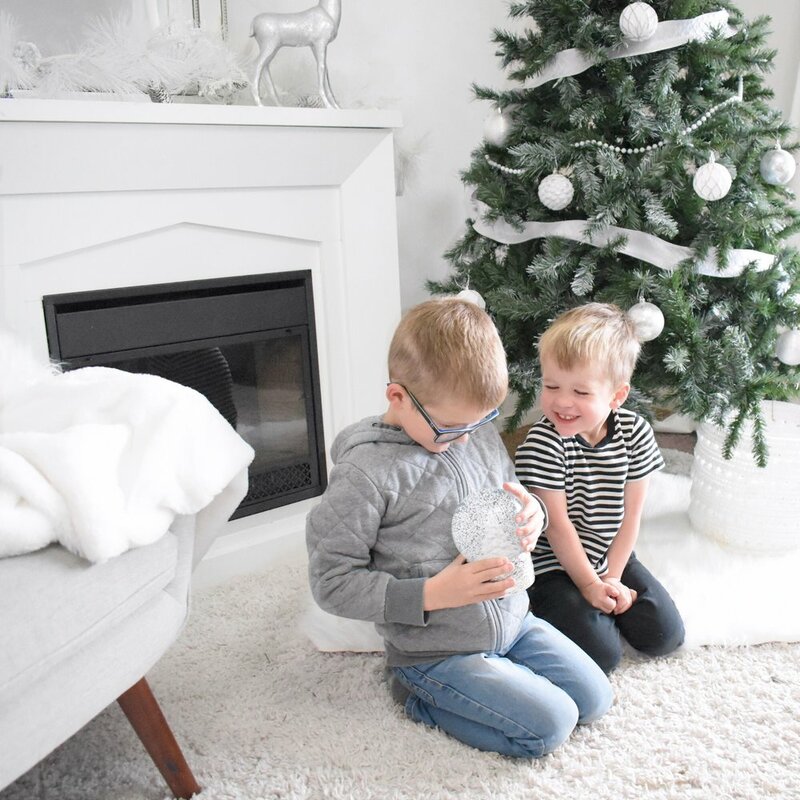 Christmas is by far my favourite time of the year, so decorating happens pretty early around here! We try and push it as long as possible, but if we make it past the beginning of November, its a good year. 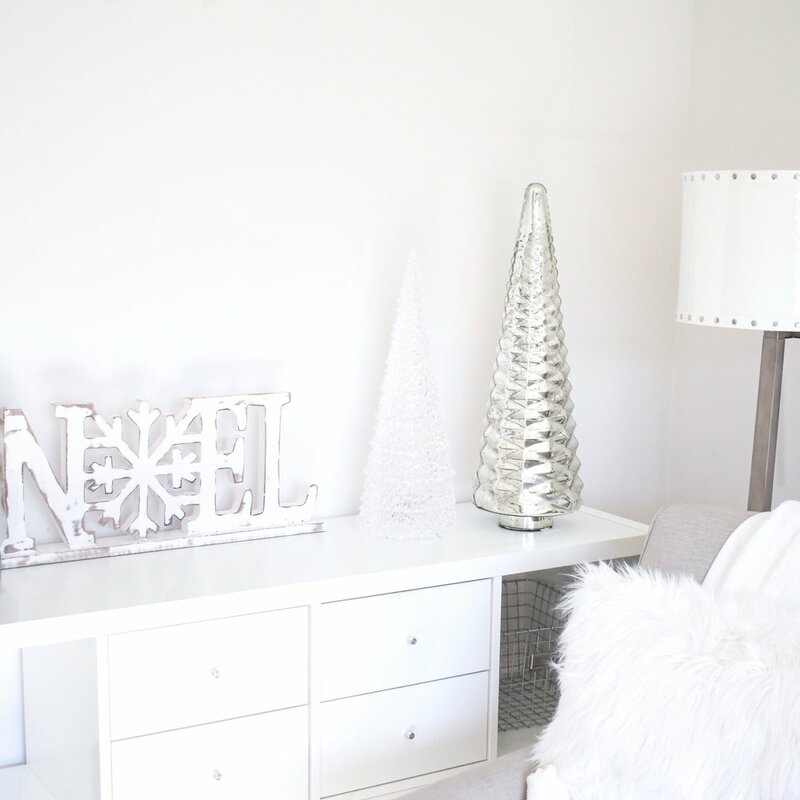 Thankfully I married a great man who lets me decorate as I please, so I created a white winter wonderland using Christmas decor from my favourite place for holiday decor, HomeSense! This year I decided to embrace our frozen climate and bring the bright crystal white indoors! We cozied up the room by adding fuzzy white pillows and blankets, a new white studded lamp shade and faux sheep-skin rugs for the floor! The small details on our coffee table include this Cheer mug, marble platter and beautiful scented candle to complete the space. 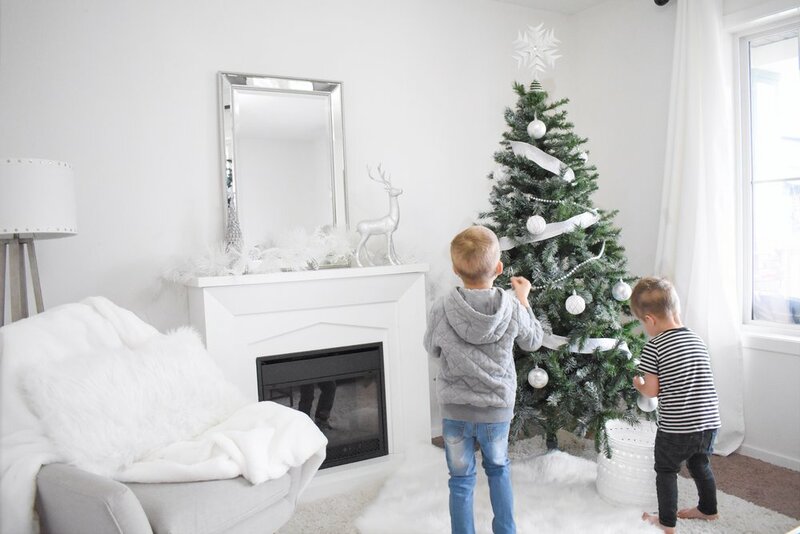 We decided to give our drab green Christmas tree an update so we spray painted the tips to look like snow, and it turned out SO WELL! The ornaments we found at HomeSense look amazing on our tree and add just the right amount of holiday cheer! 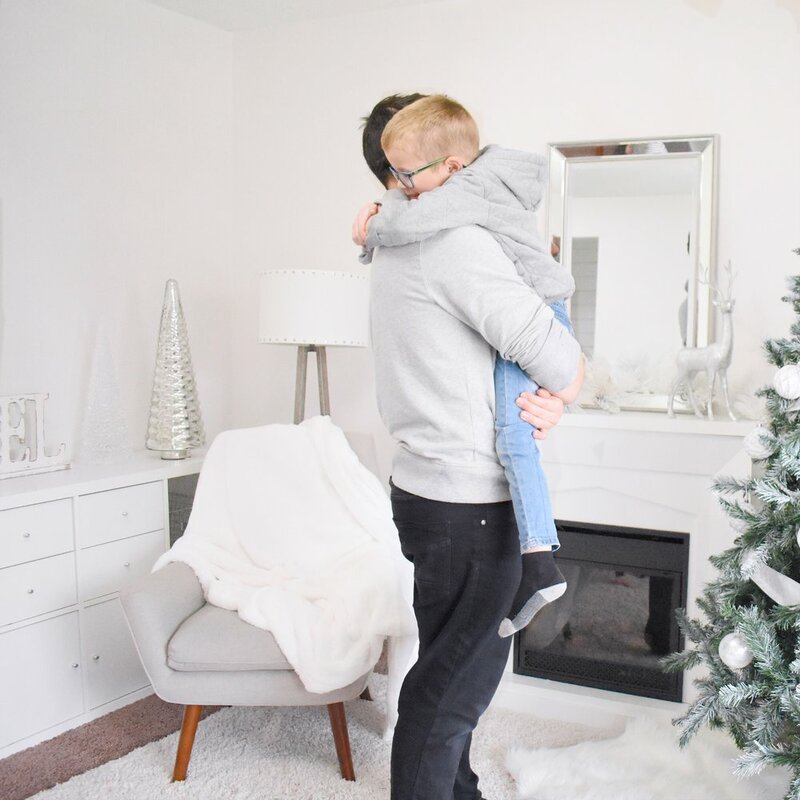 We decided to replace our previous fireplace with this white one we had upstairs to brighten up the space and I am so glad we did! We found this gorgeous mirror to top it off and add some extra depth to the room and it looks perfect! 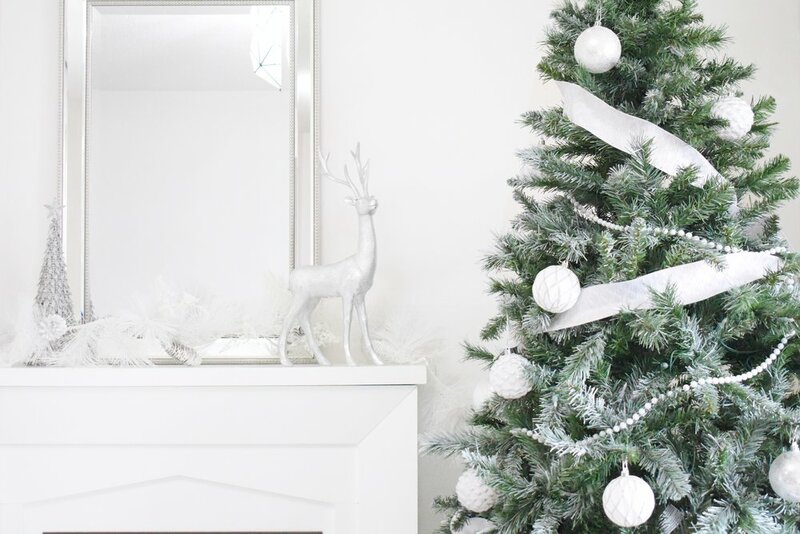 Up on the mantle we laid this beautiful white wire garland and it looks stunning running across the fireplace surrounded by glittery Christmas trees and a gorgeous silver reindeer which gives it that pop of elegance. We needed larger pieces for the console table, so we decided to go with these large trees and Noel sign that finished the space off! For quite some time now I have wanted to purchase a snow globe, and decided this year was the time! The boys helped me pick out the best one and have been obsessed with it ever since! It is gorgeous and only $20!! 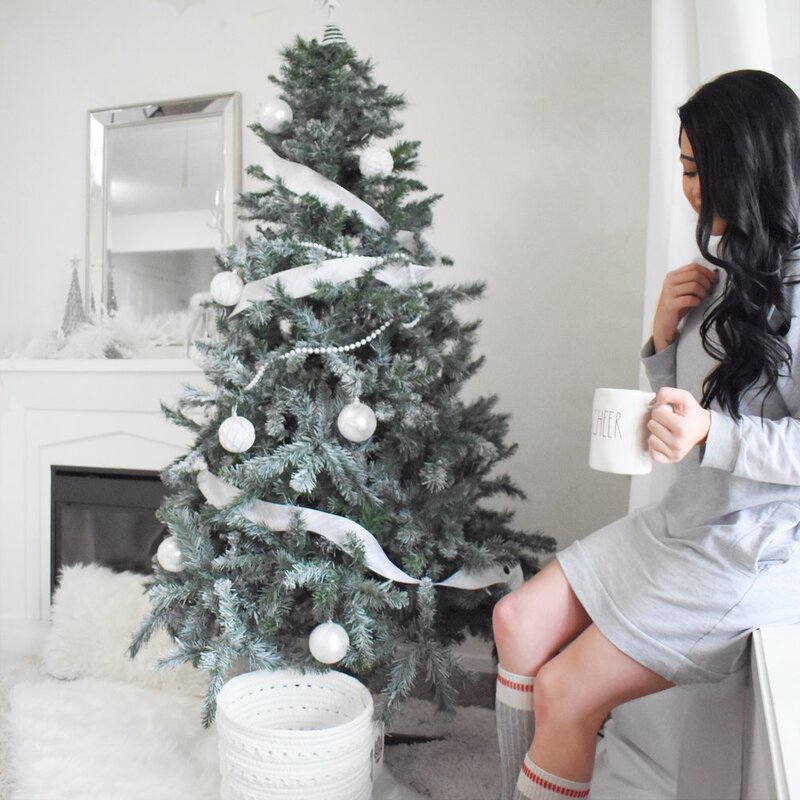 Be sure to check out HomeSense for your holiday decor with amazing selection and prices!